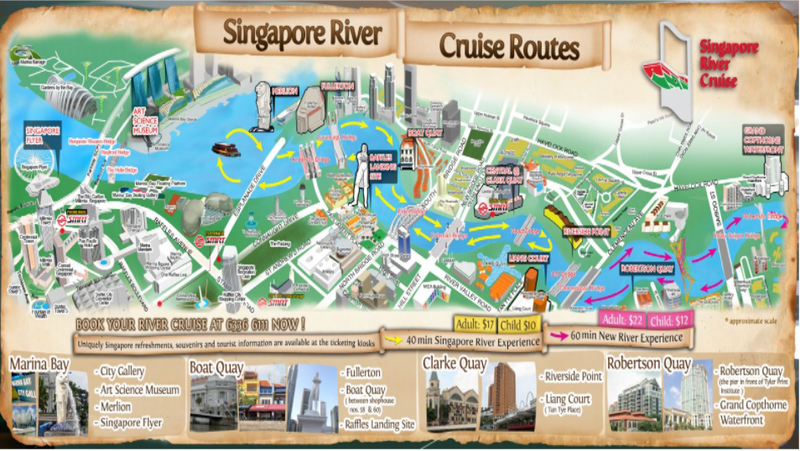 Singapore River known as the "River of Life in Singapore," Singapore is one of the major rivers. River from the central business district of Singapore from the source, to the south poured into the sea. Since Sir Stamford Raffles British colonists in February 29, 1819 in Singapore estuary landed on both sides of the river will gradually develop into a trade center in Singapore. Today, both sides of the river there are many rich monumental signs and buildings, such as the Merlion Park, Raffles landing site, the Old Capitol Arts House Singapore Singapore Victoria Memorial and the like. We can take the River Cruise Boat Cruises Singapore River. Singapore River shore there are many marina can be reached by boat, such as Boat Quay, Clarke Quay and the like. 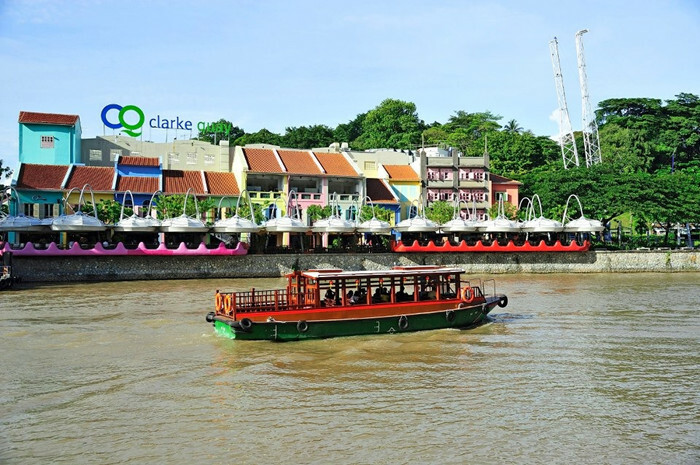 Singapore by boat all the way along a seat pier extends through the Boat Quay, Clarke Quay as well as Marina Bay. 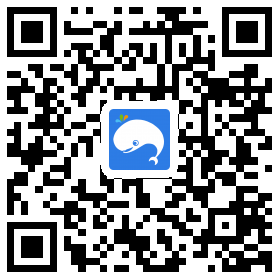 This trip will show you two very different architectural style, modern skyscrapers quaint marina building and the central business district. In addition, you can also explore the magnificent bridge Singapore, for example, Cavenagh Bridge, Clemenceau Bridge and Anderson Bridge; then visit the various historic attractions, such as the Merlion, Raffles landing place and Marina Arts Centre. 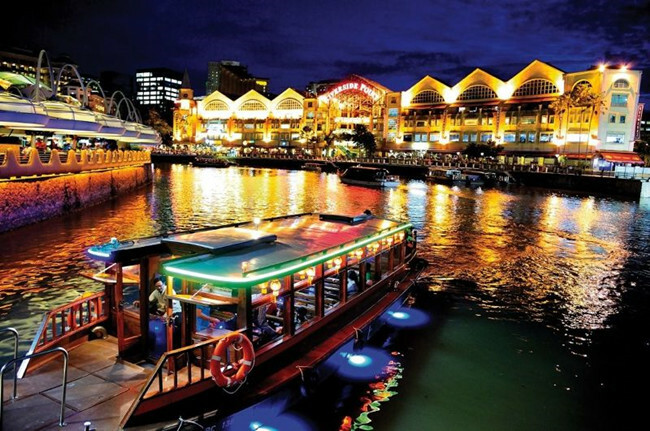 The most beautiful way to enjoy Clarke Quay in Singapore at night. This is nice relaxed way to see parts of Singapore from a different view. Do it on first eve probably before sunset to get the vibes of lion city and smartly utilise the half day in hand. This is a nice cruise along the passage of time. It gives us a glimpse into the evolution of singapore as a modern city. 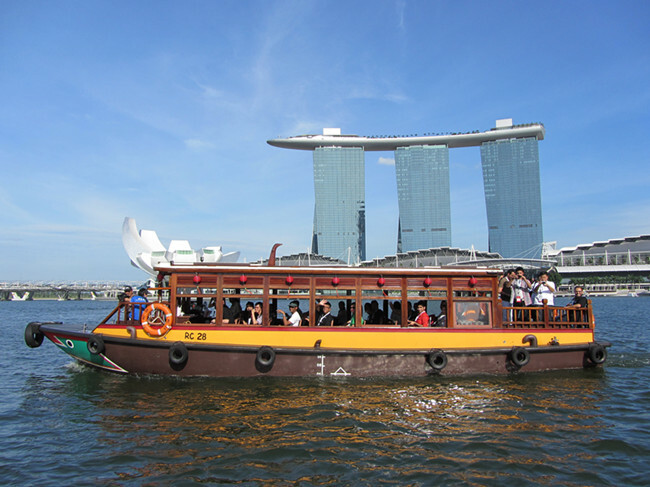 The Singapore River Cruise is another popular way to do the city tour from the boat. This gives a different perspective which is not available to the Hop On Hop Off Bus Tour. After payment is made, retrieve e-tickets from "Tickets". Print this redemption voucher, at Clarke Quay Jetty River Cruise Ticketing counter in exchange for your ticket. The E-tickets are valid up to 1-2 months. Ticket is valid only for one time. You can disembark at any stations.